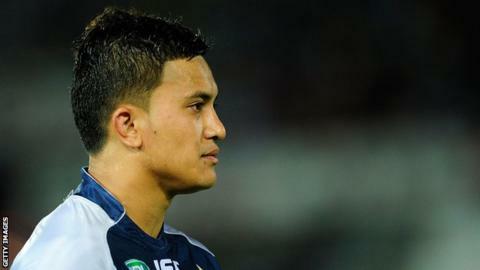 Hull Kingston Rovers have signed former North Queensland Cowboys back Wayne Ulugia until the end of next season. The Auckland-born 21-year-old can play at centre, wing or fullback. Ulugia spent seven years with the Cowboys before parting company before the start of the current campaign for disciplinary reasons. Ulugia said: "I made a few rookie errors, but it's a fresh start for me and I feel that I have a lot to give to the game." He continued: "I've come over to Hull KR as I was told by good friends that it's a good family club with a close bunch of players. "I've watched a few games and to tell you the truth, I don't think there is a lot of difference between the NRL and Super League. People back in Australia say that the competition over here isn't up to the standard of the NRL but I disagree." Robins head coach Craig Sandercock said he believed Ulugia would prove to be a great asset to the squad. "He is a player I've watched coming through the ranks at North Queensland Cowboys, he's also played for the junior Kiwis and is a good, young talent with a lot of potential whom I'm looking forward to working with," said Sandercock.